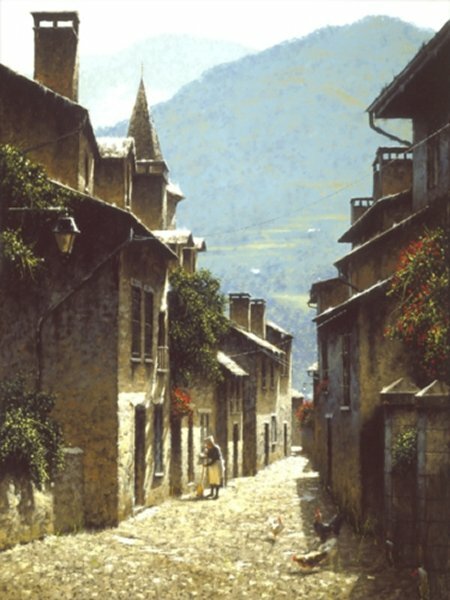 George Hallmark's "Magnifique" perfectly captures the beauty and mood of the quiet French town. It is simple, yet magnificent, and so the title. Hallmark and his wife Lisa travel through Europe searching for just such subject matter, and collectors enjoy the fruits as they surround themselves with the charm of the French countryside.